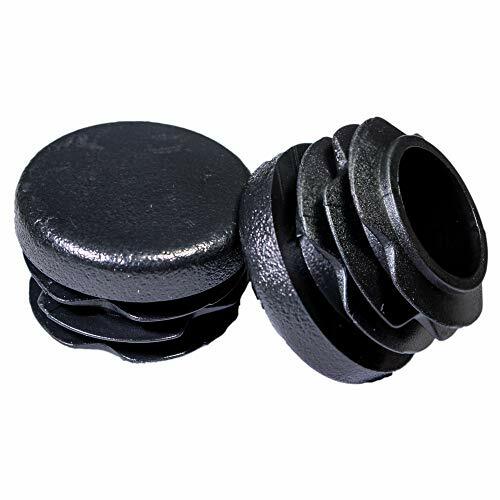 Prescott Plastics heavy duty high grade thick wall black plastic finishing plugs, end cap for 1 1/2" outside diameter steel square tubing. These fit inside tube diameters from 1.22" to 1.45" (1 1/4" to 1 7/16"). 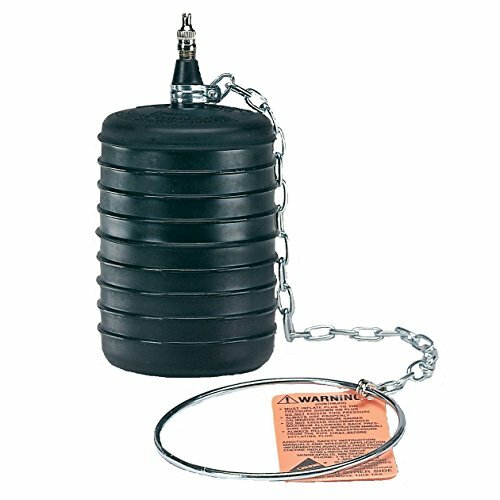 These heavy duty plastic plugs for square tubing are manufactured to provide a secure fit on multiple tube gauges. 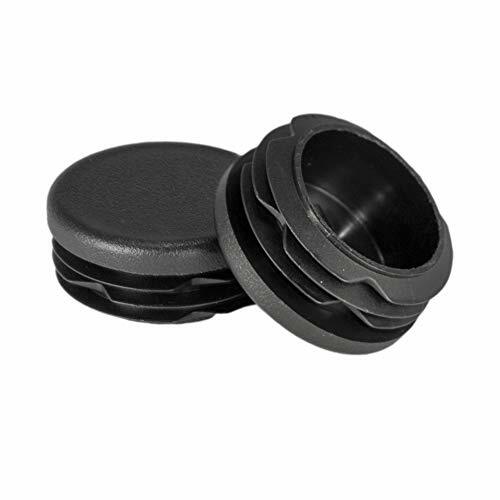 These high-grade Prescott Plastics black ribbed plugs work great for preventing scuffs on wood floor or as protection glides on chair tips, bench feet, table legs, bar stool foot sliders, chair leg protectors, patio furniture inserts, and much more. They are also designed to hold up against impact abuse, and harsh weather conditions. 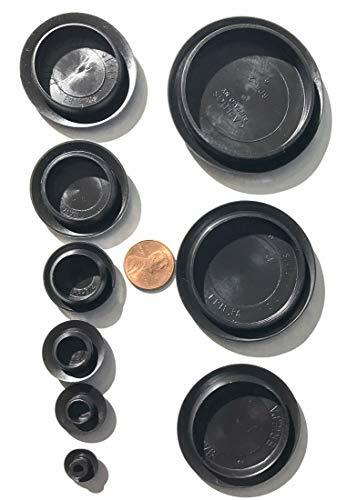 Easy to install 1 1/2x1 1/2 snap-in plugs serve as a long-lasting solution for many household or outdoor projects including replacements for fence/fencing railing posts, gate rail post covers, trailer frame ends, pole pipe rod caps, metal bike rack fittings, wrought iron steel finishing plugs, or any sqaure opening. 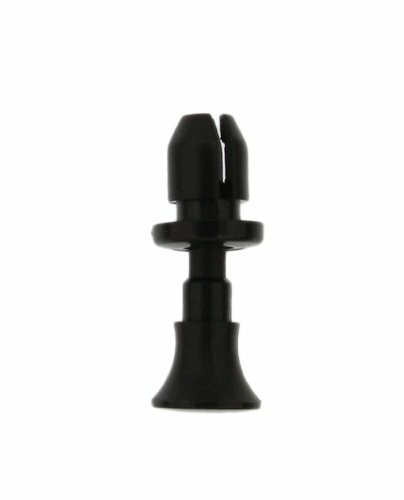 High quality high grade plastic finishing plug, end cap for 1" outside diameter (OD) square tubing. These fit inside diameters (ID) from .75" to .92" (3/4" to 15/16" ID) and 11-20 gauge wall 1" square steel tubing. Heavy duty plastic plugs for square tubing are manufactured to provide a secure fit on multiple tube gauges. Lot of 10, Quantity 1 = 10 plugs. 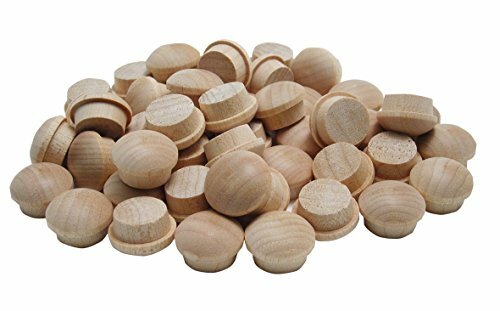 Prescott Plastics high quality high grade plastic finishing plug, end cap for 1-1/4" outside diameter (OD) round tubing. These fit inside diameters (ID) from 1.0" - 1.19" (1" to 1 3/16"). 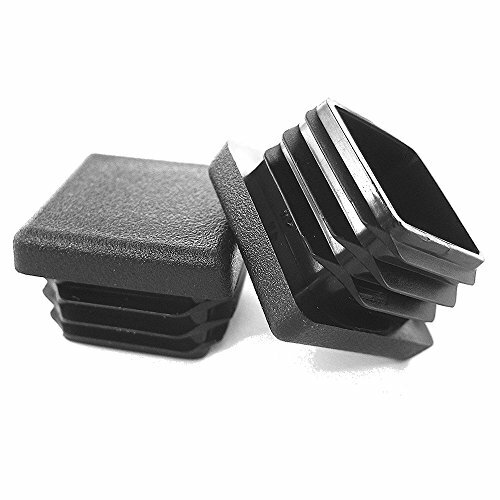 Our heavy duty plastic plugs are manufactured to provide a secure fit on multiple tube gauges. 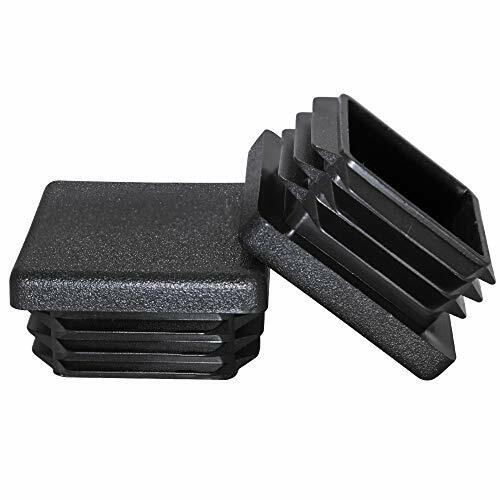 High-grade Prescott Plastics black ribbed plugs work great for preventing scuffs on wood floor or as protection glides on chair tips, bench feet, table legs, bar stool foot sliders, chair leg protectors, patio furniture inserts, and much more. They are also designed to hold up against impact abuse, and harsh weather conditions. 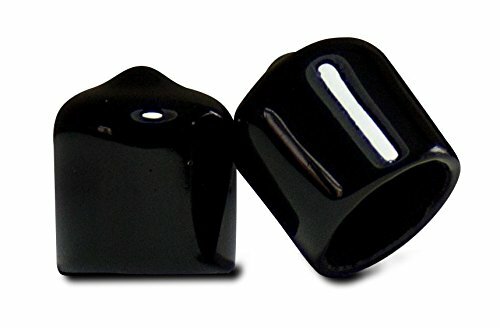 Our easy to install 1-1/4 inch snap in plugs serve as a long-lasting solution for many household or outdoor projects including replacements for fence/fencing railing posts, gate rail post covers, trailer frame ends, pole pipe rod caps, metal bike rack fittings, wrought iron steel finishing plugs, or any circular opening. 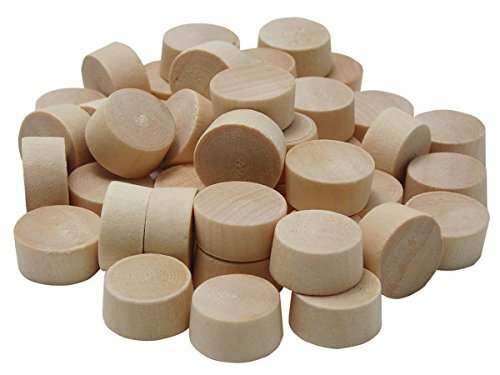 Prescott Plastics high quality high grade plastic finishing plug, end cap for 1" outside diameter (OD) round tubing. These fit inside diameters (ID) from .75" to .93" (3/4" to 15/16" ID). 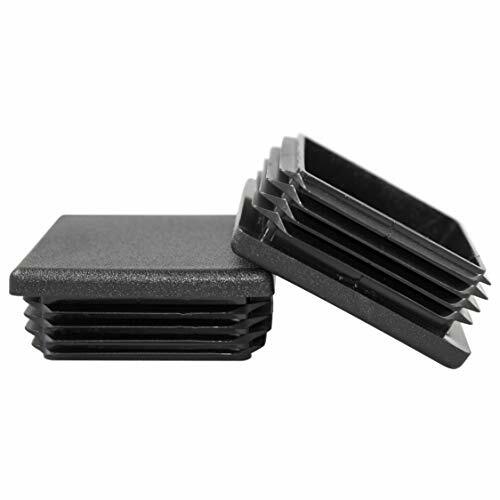 Our heavy duty plastic plugs are manufactured to provide a secure fit on multiple tube gauges. 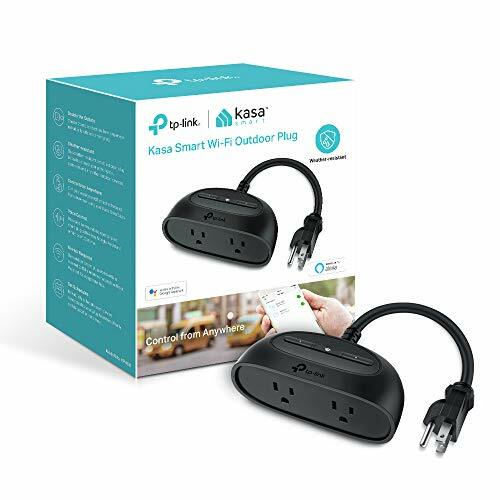 Our easy to install 1.0 inch snap in plugs serve as a long-lasting solution for many household or outdoor projects including replacements for fence/fencing railing posts, gate rail post covers, trailer frame ends, pole pipe rod caps, metal bike rack fittings, wrought iron steel finishing plugs, or any circular opening. Heavy duty high grade plastic finishing plug, end cap for 1 1/4" outside diameter steel square tubing. 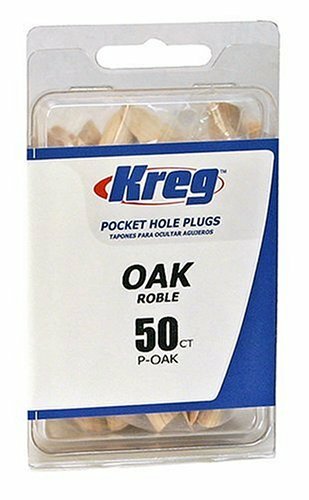 These plugs fit hole diameters from 1.00" - 1.18" (1" to 1-3/16").... Heavy duty plastic plugs for square tubing are manufactured to provide a secure fit on multiple tube gauges. Oatey 270229 End of Pipe Gripper Mechanical Plug 2" 2""
End of Pipe Gripper Mechanical Plug 2"
Prescott Plastics 10 Pack: 1/2 Inch Round Black Vinyl Pipe End Cap Cover Rubber Flexible Tube Caps Tubing Marine Safety Tip, .5"
Fits 1/2" OD round tube or pipe (*OUTSIDE diameter) & can stretch up to 1/16" larger for a snug fit without tearing or splitting. 1/2" tall / deep to provide a secure fit. 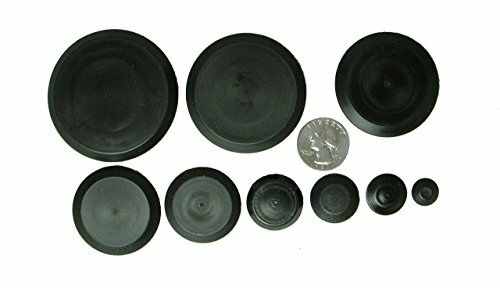 This set of 10 (ten) high-grade Prescott Plastics black soft PVC rubber like caps are made in the USA. Our caps are designed to hold up against impact abuse, and harsh weather conditions to provide years of protection. 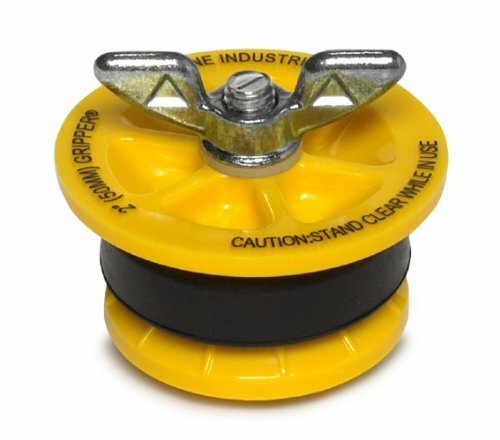 These easy to install .5 inch push-on caps serve as a long-lasting solution for many household, outdoor, & marine boat dock projects including replacements for fencing railing posts, steel gate rail stopper, rod / rebar or wrought iron caps, thread bolt screw or nut safety, hub cap sheath, or finishing any round tubing. Fits easily through test tees, sanitary tees, floor drains, and other tight situations. 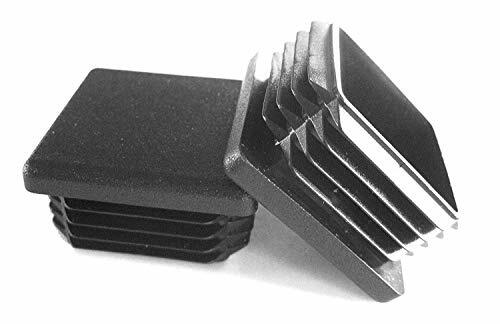 9 Piece Flush Mount Black Hole Plug Assortment for Auto Body and Sheet Metal | 1/4", 3/8", 1/2", 3/4", 1", 1-1/4", 1-1/2", 1-3/4", 2" Assortment includes 9 plugs. One of each size. Assortment includes 9 plugs. One of each size. Plugs fit sheet metal up to 1/10 thick. Made of durable black plastic. Made in USA.